The world is now experiencing an unprecedented and debilitating global pilot shortage that experts predict will last for decades. Pilot shortages are not new to the aviation industry; however, this ‘global’ pilot shortage is not simply attributed to the expected, routine mandatory pilot retirement cycle (caused by pilot age restrictions), which occurs on average every 7 to 9 years in the US, with approximately 25,000 pilots retiring in the same year, requiring a massive hiring effort to replenish this grouped attrition. Each time the new demand for pilots is filled at the same time, the new hires will again “age out” together, and the cycle is repeated. According to a study by the University of North Dakota, by 2026 up to 30,000 pilots will reach the mandatory retirement age of 65. This crisis is also affected by additional pilot supply factors. The difference with today’s global pilot shortage and those in the past is that there are other factors that contribute to this crisis. In addition to the normal 7 to 9-year pilot retirement cycle attrition, the aviation industry is now dealing with two additional factors that affect pilot demand, which are 1.) Developing nations’ requirements to staff their emerging national airlines and 2.) 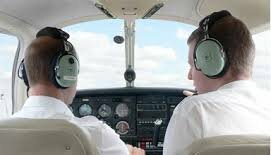 A shortage of student pilots in flight schools. In the past 10 years, numerous developing nations have launched their own national airlines, to include airlines like Korean Air, Norwegian Air, Austrian Air, Malaysian Air, etc. Chinese airlines, for example, are offering huge financial incentives of as much as $400,000 per year, tax free, to attract foreign pilots. They are not restricted by our Pilots Unions or salary caps, and can therefore offer much more attractive salaries and employment packages, thereby scooping up a majority of the newly available pilots. These added global demands on the pilot talent supply further exacerbate the severity of the current pilot shortage, threatening a longer and more severe operational impact on aviation transport needs around the world. The second contributing factor relates to changes in the traditional supply stream for acquiring commercial pilots. Simply put, there are just not enough pilot candidates in flight schools to meet today’s demand for pilots, nor are there enough to fill increasing future needs. Traditionally, US airlines (and now international airlines) have relied on transitioning military pilots to meet their commercial pilot needs. However, the military is facing their own pilot shortage, and has been for nearly a decade. The dwindling military pilot talent pool is causing the US military to face real, near-term operational readiness concerns. This military pilot shortage affects the commercial aviation transport industry directly, and puts an additional strain on the pilot supply chain. Commercial flight schools are also experiencing a severe reduction in student enrollment, which only intensifies the shortage. What can be done? Airlines are trying to solve their own pilot shortage by re-negotiating pilot salaries, working with pilots’ Unions, and brainstorming to come up with new and innovative benefits, to better compete with international airlines vying for the same talent pool. As well, commercial airlines are now trying to offset the reduction of the military pilot supply by providing for, and training their own new pilots, requiring the new pilots to commit to a minimum number of years’ employment with the airline to afford this new and expensive benefit. JetBlue, for instance, has come up with a pilot training program called ‘Gateway Select Training’ to address the lack of sufficient pilot supply by attempting to train people with little to no flying experience to become airline pilots. Planes are already being grounded simply because we lack the pilots to fly them. Airfares will skyrocket as the demand for flights becomes far greater than the supply! Regardless of how the airlines choose to tackle the problem, it is not a routine pilot shortage. It is a real crisis that must be addressed as we are fast approaching a critical point from which there is no “normal” return.